I’m so excited to be involved in this huge, never-before-on-Earth-happened book blog tour! When Dave first asked me if I thought it was possible or not (he asked many, and though most people loved the idea, of course there were a couple of non-believers, as always), I immediately became very jumpy! Enthusiasm is not beginning to describe what I felt… yeah, it was about to be a long shot. But it was so worth a try, and I’m so glad we’re doing it! And after all, so many people, so many bloggers have got on board! My heart is full, guys. This is such a great community we have here! But enough about the tour… let’s talk about the book in question! After all, that is what this is all about. I have to admit that before this tour, I have never heard about this book. What a shame! I’m glad I discovered it, at least now. What happened in this book was astonishing, but not in the over-the-top catastrophic plot after an apocalypse kind of way – what makes it terrifying is that it’s realistic. It’s so realistic that I can actually see these things happening in the future. I mean, they could. And I don’t say that because I’m generally cynical about the people and our future, and our behavior (well, I AM, but I don’t SAY it BECAUSE OF that.). What happens in this book is… a very likely scenario. And that’s scary. It’s one of those very rare times, when reading a book I got so into the story that I didn’t care I wasn’t that much into the characters. I’m a very character-driven reader, so it’s a huge statement. The characters were interesting, but they had way more potential than that was actually shown in the book. However, I think that it’s mostly because of what the world is like in the story. When people don’t trust each other, and in general entertainment is not an option at all, when everybody has their own specific, monotonous task in society, than you have very little chance to get to know them well. So, though I hope that in the sequel this will change a bit, I totally get why it is necessary. What’s more, it totally completes the world-building (which is very good, by the way)! I’d say the realistic world-building is the best thing about this book. It’s spot on! Fans of dystopias, especially if you like the ones that are not too complicated. Ones that you can actually believe to be the future. Water. Lots of, lots of water. This is the second book in a short time that made me feel the immediate need for downloading the sequel, and wow, that hasn’t before happened in a long, long time! I’m lucky with my reading these days. I haven’t yet acted on it this time, though, because I’m drowning under a HUGE pile of TBR, but I’m really tempted… very, very tempted. UPDATE: by the time this post is getting published, I already read the sequel… Yes. I’m weak. Please, don’t forget to make a stop at the other blogs hosting the tour! Since there are so many participants in this giant tour, there’s a separate banner for each day, so please, bear in mind that these ten blogs are only the tip of the ice berg! I don’t know the exact number of blogs participating, but it is around a hundred which is fantastic! It also means I can’t possibly tag everyone, so here it is: the banner for today! 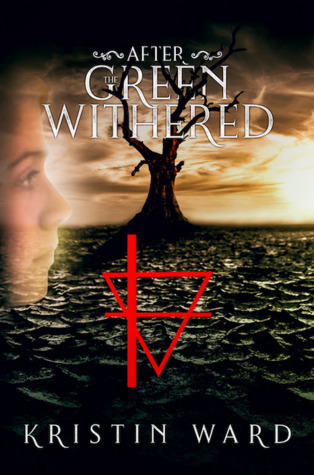 If you don’t want to miss the other 9 days’ posts (there are many reviews, first chapter reviews, and also interviews), check out the following tags on Twitter: #thewritereads #ultimateblogtours #afterthegreenwithered ! Also, if you’d like to know what’s going on in the book blogger community, regarding this tour, or because of our #blogoftheday & #reviewoftheday project – or just in general, follow @The_WriteReads (if you’re not following already)! Guys! I’m so happy to be a part of this, and I love reading all your posts! It’s like a huge buddy read, everyone read the book around the same time, everyone discusses it, and it’s so great to see we have a common project! Don’t you guys feel like…belonging? I love how enthusiastic you are about this! I agree with everything you said! I’m also usually a character focused reader but the dystopian world just kept me hooked! Super ! ☺️ Now I REALLY hope you’re gonna love it… Otherwise it’s my fault 😂😂 Have fun reading! This book sounds really interesting and it’s scary that you can see this as a potential future. Great review! It really is… And most people who reviewed it said the same. Us humanity should really get our sh*t together!